SPOBIS is “the largest and most important event in Europe for the sports industry”. This edition takes place on 30 & 31 January 2019 in Düsseldorf (Germany). VOGO is already there to meet you, and participates in the very first Startup Competition of this event! 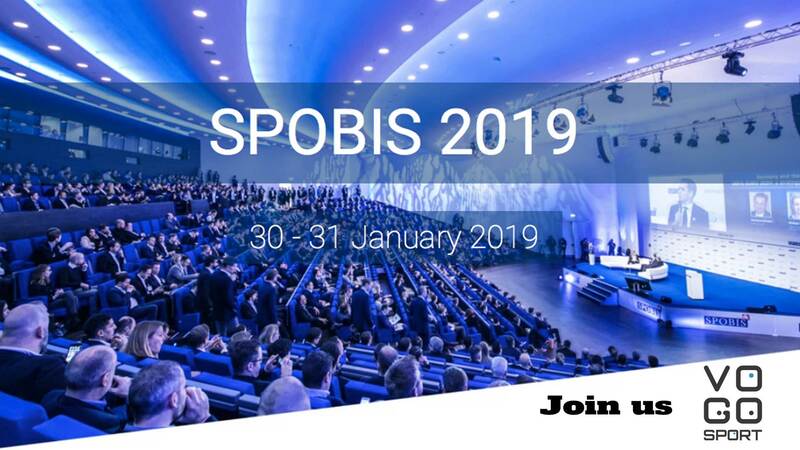 SPOBIS 2019 consists in a 50-hour programme, which gathers 3,700+ participants, 70%+ decision-makers and 150+ speakers! SPOBIS is therefore an opportunity to learn and network. If you are on site, our VOGO team would be delighted to meet you and discuss future topics such as Sport-Tech & Digital, football, esport, media, sports venues etc. and how our VOGO SPORT solution could help you bring value added for both the fan experience and pros side. SPOBIS is also an opportunity to challenge young companies, to stand out in the sport landscape ! Barbara Desmarest, VP Sales Europe & Business Development will pitch during the Startup Competition. This is a Shark Tank-style competition – American reality-show, an impressive face-to-face meeting between entrepreneurs and investors. To find out everything about the VOGO news, go to our News section or contact us for more info about VOGO SPORT.